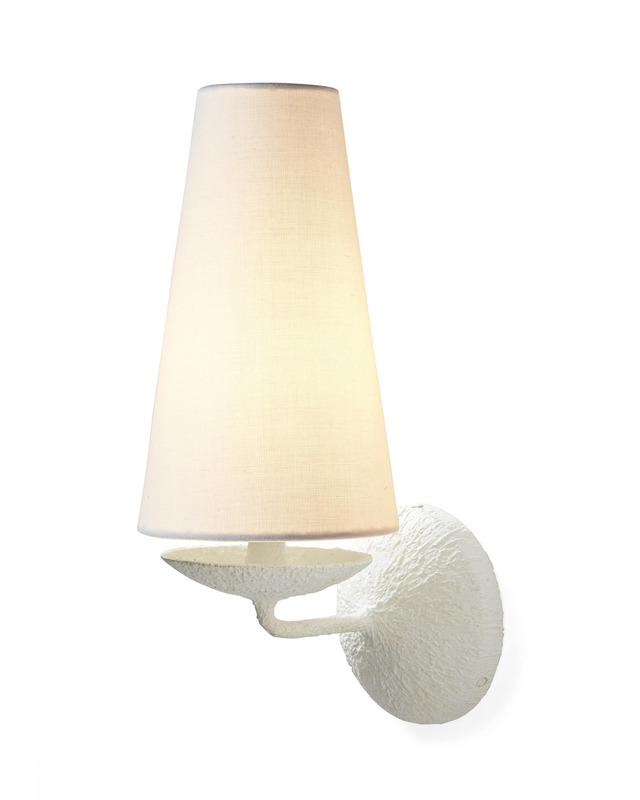 Savannah Single SconceSavannah Single Sconce, alt="Savannah Single Sconce, "
Print A study in simple style, this offers a minimalist look that suits almost any setting. 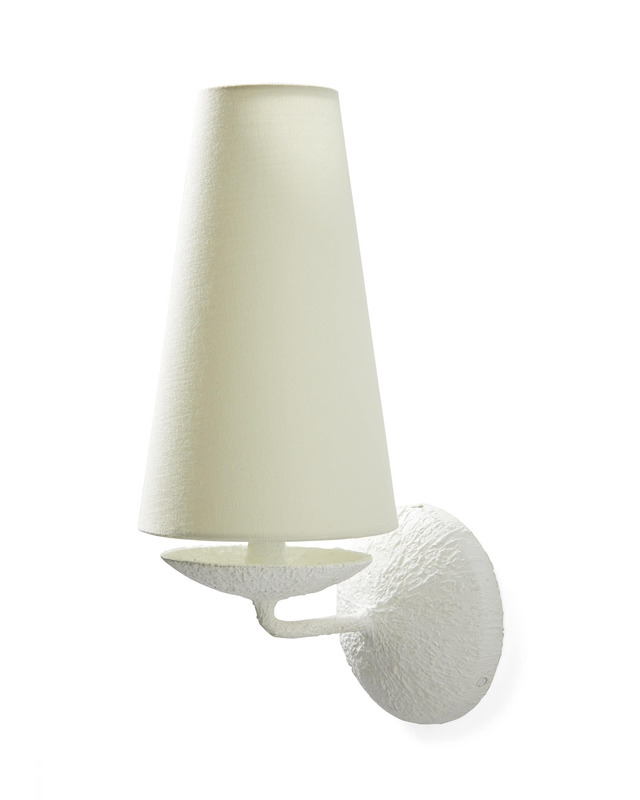 The tall shade, tapered and understated, diffuses the light for a soft glow. Zinc base with a plaster finish. Uses a Type B candelabra bulb, 40W max. Arm extends 7.5” from wall.